Coriander is one of those spices I purchased because I needed a small amount for another recipe. It's a spice I don't use very often but when I came across this recipe, I was happy to find another application for it. 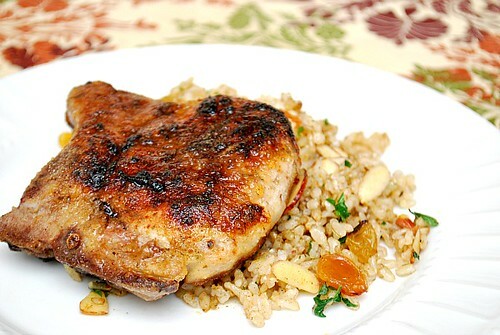 Together with cumin, it reminded me of the Mediterranean flavors with a slight sweetness. You could even spice your pork beforehand rather than just before cooking to allow the pork to absorb the flavor longer. Heat a nonstick skillet over medium-high heat. Sprinkle pork with 1/8 teaspoon garlic salt. Combine coriander, cumin, and sugar in a shallow bowl. Sprinkle spice mixture over 1 side of pork. Add oil to pan; swirl to coat. Add pork to pan, spice side down. Cook 2 minutes or until browned. 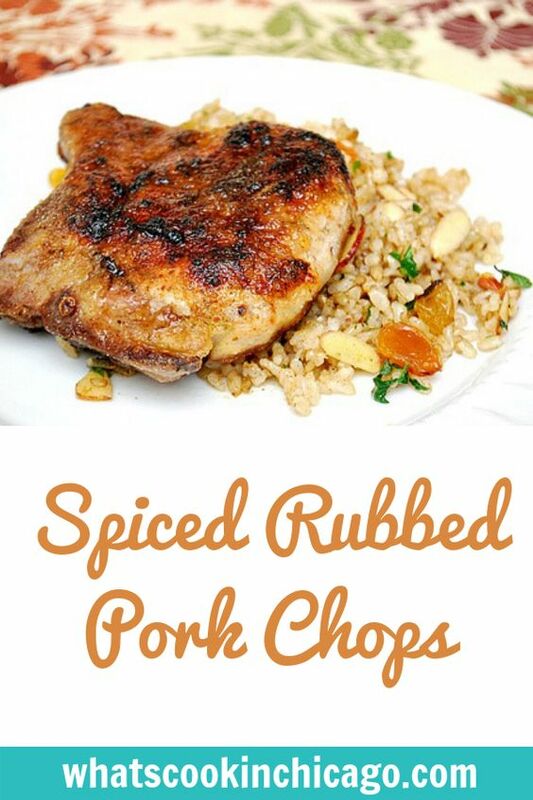 Turn pork over, and cook 4 minutes or until done.